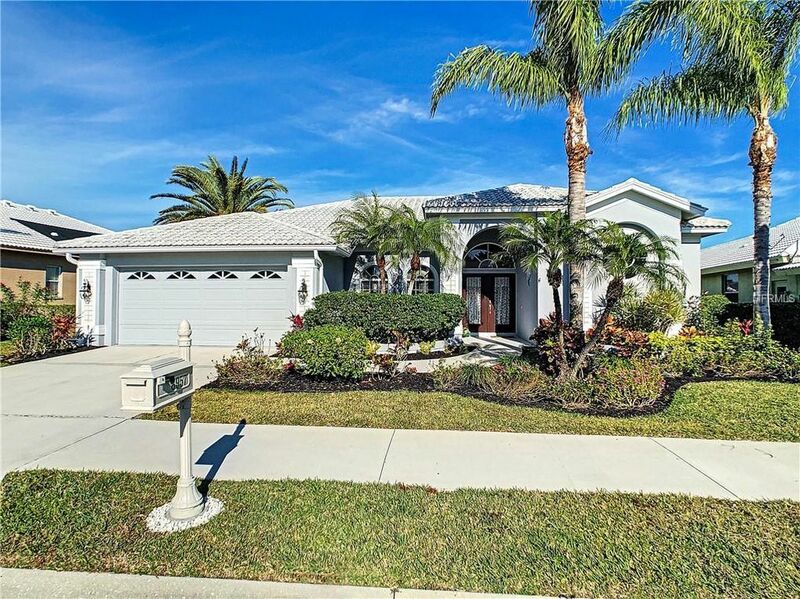 Great 4BR-3BA, 2,570 Sq. ft., pool home on the best part of the lake. Features are brand new stainless steel appliances in the kitchen with granite counters and breakfast Bar over looking the Great room, pool and lake. You walk in through double doors into the formal living room which has 14 ft ceilings as do the dining room with a trey ceiling and the kitchen. Upon entry you immediately see the pool overlooking the lake. The home has a split floor plan which is good for a family or guest. The flooring is tile in the kitchen and baths and Bambo laminate flooring throughout with 6 in base boards. The large master bath has large circular window which allows for lots of light. The vanities/ sinks have been updated and there is a large shower, a garden tub and a large master closet. There is a good amount of covered space under the lanai with an outdoor shower and storage room. Huntington Pointe has mature landscaping, low fees, is gated and is close to shopping, restaurants, Costco and the Westfield Mall. Directions: Take McIntosh Road from 41 South and go to the first subdivision on your left Huntington Pointe. Go through the Gate and follow the road Huntington Pointe to 8957 on the right.